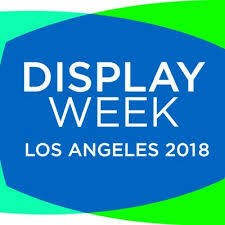 Display Week is the Society for Information Display annual meeting for everyone involved in the technology, business, and application of cutting-edge displays.Meet with Digital Blocks in Los Angeles, CA on May 20-25, 2018 to learn about our Display Controllers, including our TFT LCD Controller IP Core, as well as our Display Link Layer and 2D Graphics IP Cores System solutions for System-on-Chip (SoC) ASSP, ASIC, and FPGA system designers. Meet with Digital Blocks at DAC 54 in San Francisco, CA on June 24-28, 2018. DAC is the premier event for the design of electronic circuits and systems, electronic design automation (EDA) and embedded systems and software (ESS). Learn about Digital Blocks’ innovative low power, system-level IP Cores for ASIC | ASSP | FPGA designers. Meet with Digital Blocks at SIGGRAPH on August 12-16, 2018 in Vancouver, BC, Canada. SIGGRAPH is the premier event for users of Computer Graphics & Interactive Techniques. Learn about Digital Blocks’ 2D Graphics & Video Signal Processing IP Cores along with our TFT LCD Display Controller and Display Link Layer IP Cores for System-on-Chip (SoC) ASSP, ASIC, and FPGA system developers.